Renowned New York-based architecture firm Hart | Howerton faced a demanding challenge: to enhance one of the Eastern seaboard’s most iconic ocean resorts so “… the next generation of guests can say ‘this is a great place for our family for the next 50 years.’” That design imperative comes from A. James Tinson, AIA, Hart | Howerton CEO in talking about the acclaimed Chatham Bars Inn. The Inn has been a Cape Cod, Massachusetts, landmark since 1914. Today it is widely regarded as one of New England’s premier summer resort destinations. To maintain that distinction, the owners initiated a $100 million top to bottom phased renovation, engaging Hart | Howerton for strategic planning and design. To get started, Tinson and his design team required a structural understanding of the 37-building resort that wasn’t available. Prologue Systems offers laser scanning and 3D modeling services. Scanning the Chatham Bars Inn represented a series of challenges, not the least of them being the time of year (January) and weather (blizzard). “Chatham Bars Inn is quite a place. But January is not peak season for a reason,” says Prologue founder and project manager Scott Reed. “We pulled in at 2:00 a.m. It was dumping snow. 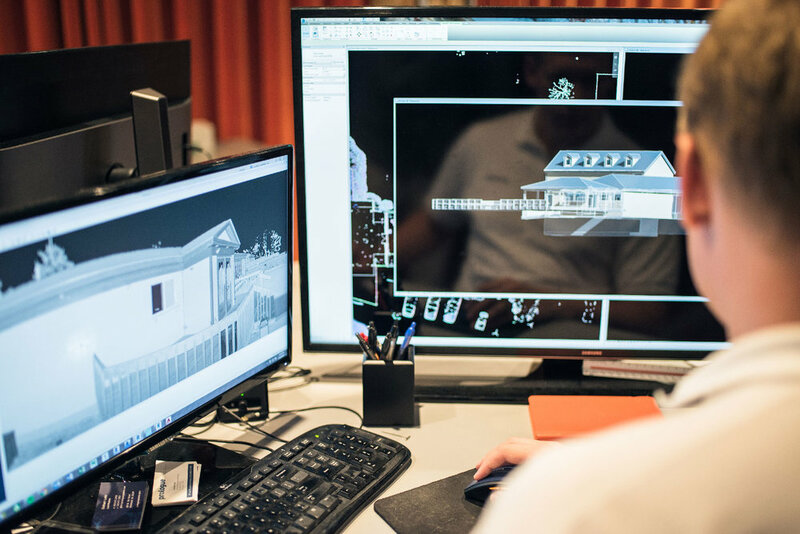 Snow introduces a lot of complications when you’re trying to laser scan an entire site.” To facilitate the scanning of 37 disparate buildings, the Prologue team set up shop in a vacant cottage made available by Inn management. This ‘war room’ was the central clearinghouse for the assembly of scans from Prologue and three laser scanning subcontractors. * The workflow was meticulously orchestrated, with most of the scanning taking place at night over nearly two weeks. “We’re all in with the FARO® platform,” Reed explains. 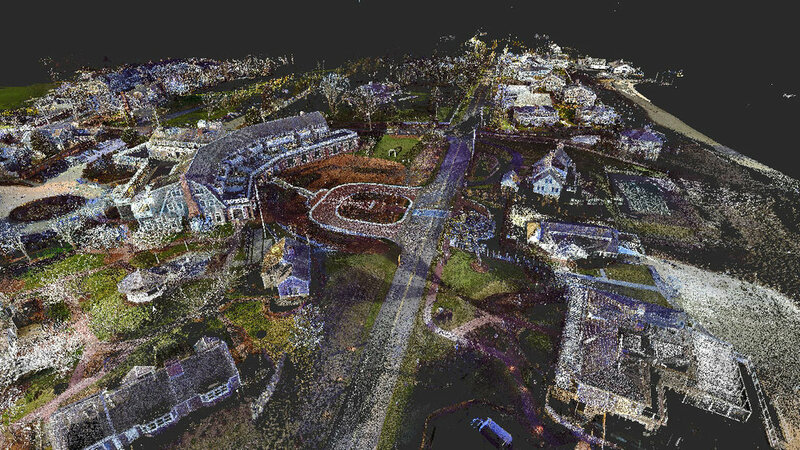 “We pride ourselves on providing solutions, not point cloud files. Laser scanning as-built conditions may be cool-sounding to clients, but they can get intimidated by the massive amount of data. 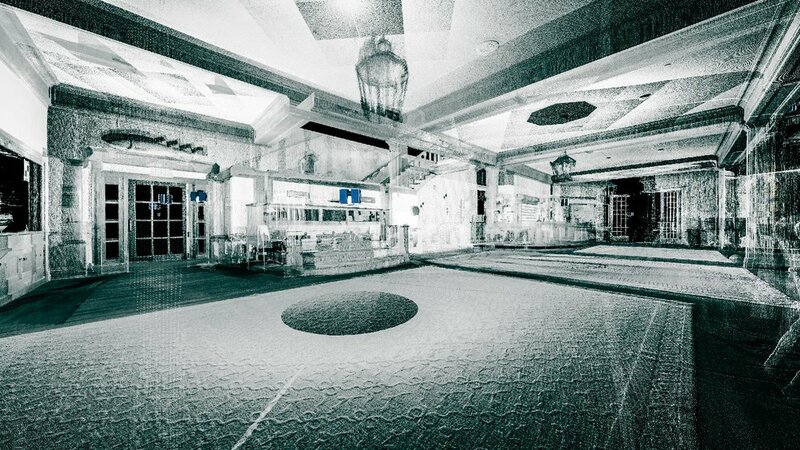 So we actually build 3D models from the point cloud. We saw this as something Hart | Howerton could leverage later, having a true 3D dimensionality of the structures.” What’s more, the Prologue team overlaid colorized scans over the models to improve visualization and supplemented that with aerial photography. Hart | Howerton received a comprehensive macro/micro understanding of the entire site, inside and out. sizes, but preserved complete coordination between projects. now has a single version of the truth,” Reed observes. As for their work for Hart | Howerton, Prologue has already worked with them on several as-built projects with the expectation of more to come. The 200+ room hotel and surrounding 37 building campus took two weeks to scan and required an approximately 6-month, phased turnaround time for modeling.